Thank you to Erick Oh for allowing us to use a still from his film How to eat your Apple for festival posters and online promotion. The choice was obvious: here is a film that embodies the very spirit of animation. Oh uses a very personal vocabulary of symbols, which straddle the line between abstract and figurative art. Able to manipulate his imagined world at a frame-by-frame level, Oh delights in cramming more action into each second of film than a viewer can possibly take in during one sitting. This is a film that begs to be viewed again and again. During the weeks of scoring film entries, jurors repeatedly asked to see How to eat your Apple as a treat at the end of a day’s work. Putting this artwork on posters and programs is similarly meant as a gift to the audience — a means to catch a few more of the fascinating details that go by so quickly on screen. Erick Oh is a Korean animation artist based in California, USA. His work has been introduced and nominated at Student Academy Awards, Annecy Animation Festival, Hiroshima Animation Festival, Zagreb Animation Festival, SIGGRAPH, Anima Mundi, Ars Electronica, LACMA Director’s Night, and numerous other film festivals. He spent most of his life in Korea where he started producing a variety of work, in which the boundaries were blurred between media and contents. Even though it is in animation where Erick feels most comfortable as his main tool to communicate and interact with the viewer, he would not consider himself only as a film maker but as an artist who continues trying to expand the definition of animation and art. After receiving his BFA from Fine art Department at Seoul National University and his MFA from UCLA’s film program, Erick is currently at Pixar Animation Studios. Thanks also to Joe Clarke for letting us use a segment from The Making of Tchaikovsky for our festival identification clip before each block. Animation is a strange sort of magic, where the artist trades hours of their actual life for seconds of their characters’ fictional lives on screen. While this is true for all who work in the art form, nothing quite captures the sense of parallel realities like time-lapse footage of stop-motion animators manipulating their puppets. 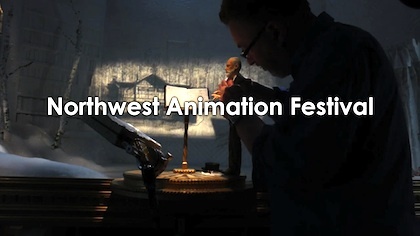 This festival is about animators as people, as well as their films. Screening Clarke’s footage of master animator Barry Purves working on Tchaikovsky – an elegy each night was the perfect way to make this connection between artists and their grand illusions. 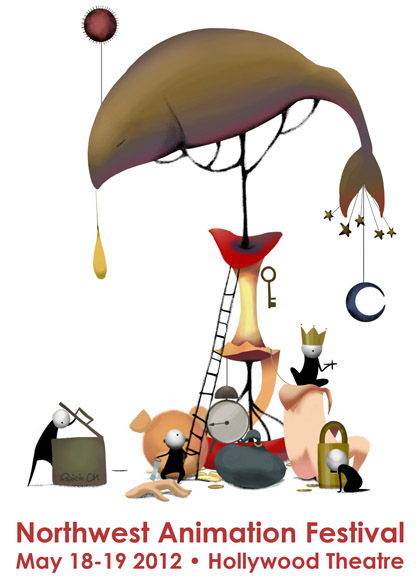 Joe Clarke is a freelance photographer, camera/lighting man, stop motion animator and designer/illustrator. He currently lives in Bristol.